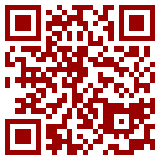 A QR Code is a matrix code (or two-dimensional bar code) created by Japanese corporation Denso-Wave in 1994. The "QR" is derived from "Quick Response", as the creator intended the code to allow its contents to be decoded at high speed. QR Codes are common in Japan where they are currently the most popular type of two dimensional code.